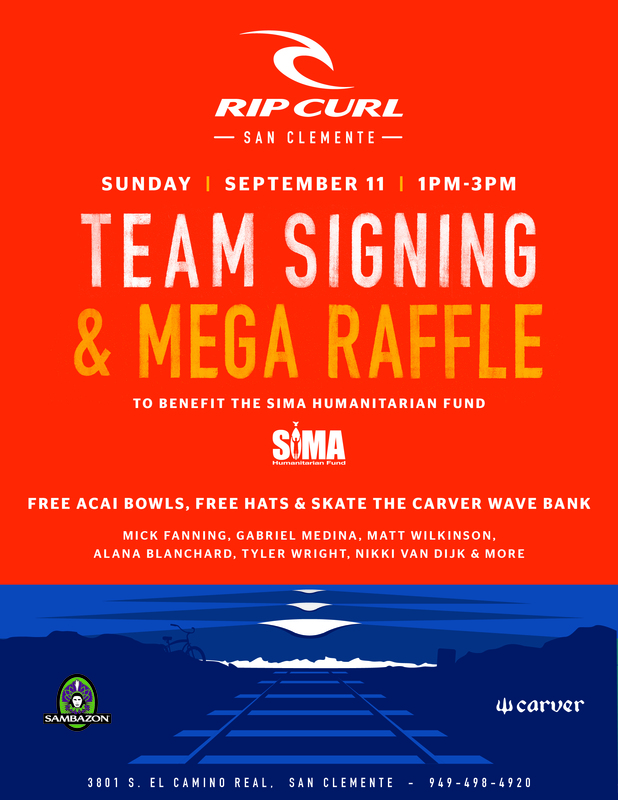 There will be team signings, a mega raffle, free acai bowls, free hats, and the Carver Wave Bank at our San Clemente store - 3801 S. El Camino Real San Clemente (949-498-4920). Athlete appearances by Mick Fanning, Gabriel Medina, Matt Wilkinson, Alana Blanchard, Tyler Wright, Nikki Van Dijk, and more. The raffle will benefit the SIMA Humanitarian Fund.